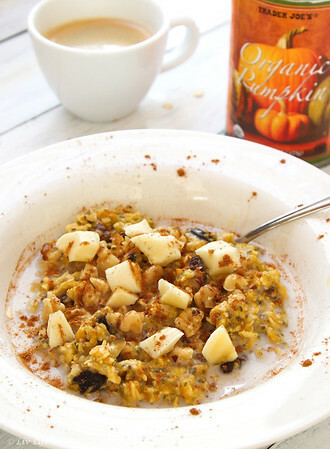 Warm and wholesome, this Power Oatmeal will set you and our loved ones off satiated and ready to tackle whatever comes your way. The kids (and you) will love the flavors and will enjoy lasting energy for hours to come. 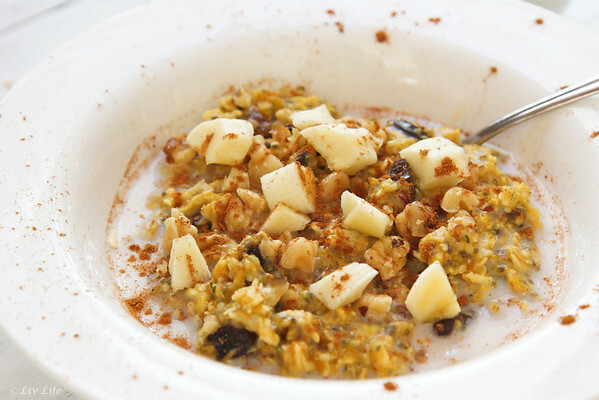 Top with your favorite toppings - our include chopped banana and walnuts! Place water on the stove in a small pot over medium high heat. 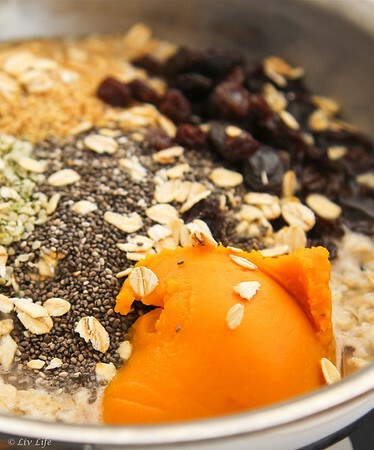 Add oats through flax meal (oats, pumpkin, raisins, hemp, chia, flax) and stir to combine. As for the spice, you may add 1/2 tsp pumpkin pie spice at this time if desired. Personally, I prefer to omit the spice at this step and sprinkle cinnamon and a dash of freshly ground nutmeg when serving). Reduce heat to medium-low and simmer until oatmeal is tender - about 5 minutes (actually I usually simmer for about 3 minutes then allow to sit for 7-8 or so as I'm getting the rest of the breakfast going - follow directions on your package for exact instructions). Spoon oatmeal into serving bowls and top with chopped bananas and walnuts (liv loves to top hers with candied walnuts!). Also, if desired drizzle with maple syrup or sprinkle with brown sugar. If you omitted the pumpkin pie spice or simply don't have it on hand, sprinkle bowls with a dusting of cinnamon and a dash of freshly ground nutmeg at this time. Serve with your choice of milk or dairy free milk and enjoy! Liv Life Note: We split this recipe into two to three serving. this is ANYTHING but boring, ha! 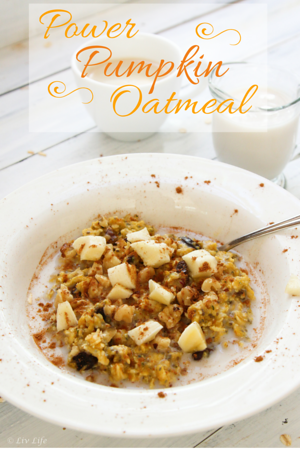 sounds perfect to me, I love my oatmeal!